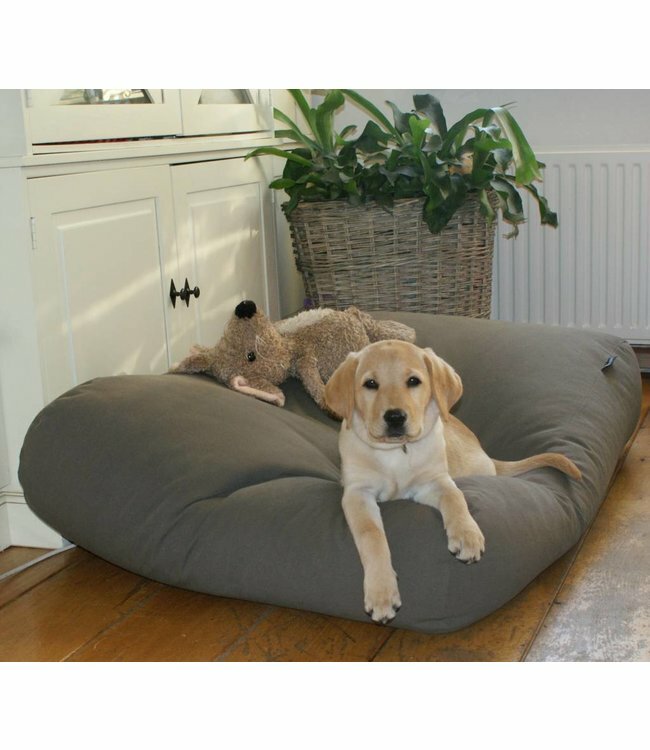 This solid and still soft feeling canvas cotton large dog bed in a nice looking mousegrey colour creates a classy look in your interior! 100% cotton, machine washable at 40°C. the EPS beads adjust to your dog's body temperature and will reflect this, causing a wet fur to dry up swiftly. because of the special EPS filling it’s non poisonous, anti allergic and fire retardant. hygienic and easy in maintenance. The cover can be machine washed (40 degrees Celsius). light weight and flexible in form. This gives you the opportunity to take the comfortable dog bed anywere you please. also ideal for in the car, kennel and caravan. the possibility to order single covers adds to the options of decorating according to your interior. cool during the summer, warm and cosy in the winter. 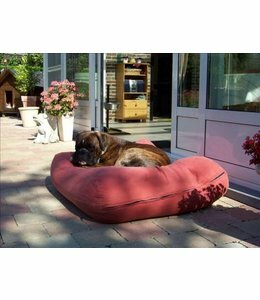 The DOG’S COMPANION® dog bed is a high quality product. 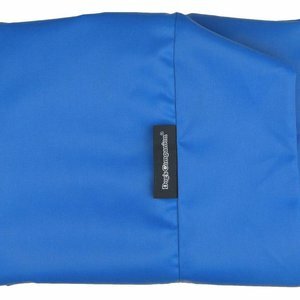 The firm inner bed is made of a sturdy nylon, is finished with strengthened seams and comes with a zipper, which enables the amount of EPS beads to be adjusted to the weight of your dog. The special EPS beads have the ability to attain body temperature and reflect it. 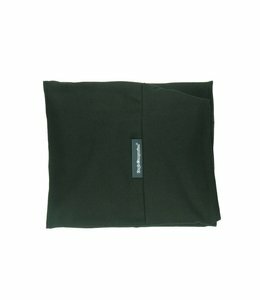 This thermally isolating effect has a beneficial influence on your dog's joints and muscles. Especially older dogs can benefit from this effect. The dog’s fur will dry up quickly after frolicking in the rain or after a nice swim. 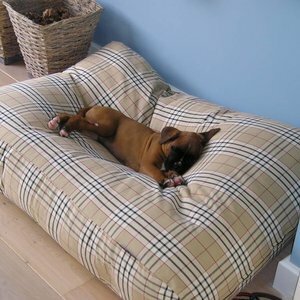 Dogs love our beds, because the bed can shape according to their posture. Once your dog has gotten acquainted with his bed, he will get severely attached to it and will prefer his own bed to your furniture. It’s advisable to give the dog its own bed if he spends the night somewhere else. This will put him at ease. Because of the light nature of the filling the bed is easy to bring along on holiday by car or caravan. Humidity and cold don’t stand a chance this way. Regularly shake up the bed and turn the other way. Occasionally vent outside. No problem occurs in case of an accident on the interior bed as it’s waterproof. The filling itself doesn’t take up humidity.